Dedicated to restoring America’s Christian Heritage and fidelity to the principles found in our Founding Documents, the Bible, the Declaration of Independence, the Constitution and the Bill of Rights. Illinois Conservative Beacon is an independent Internet publication whose sole purpose is to promote, defend and preserve America’s founding principles. We are not beholden to or affiliated with any particular political party or organization. We Believe that no nation can survive without a written, objective and proven set of rules governing its national institutions. We Believe that the American system has three major components, its culture, its government and its economy. We Believe that Government derives its character from the beliefs and customs of its culture. We Believe that the Essence of the American culture was formed during our 169 year colonial period, based on the Christian traditions found in the Holy Bible brought to America by the Pilgrims and the Puritans of the Massachusetts Bay Colony. The most important laws regulating our civil society have their roots in Biblical concepts, particularly those found in the Ten Commandments and the Sermon on the Mount. We Believe the principles on which the American system of government is based are found in the Declaration of Independence. The Declaration sets forth the justification for our existence as a separate nation and declares the principles on which all forms of government should be based. 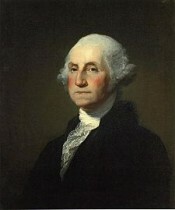 (Local, state and national) There are four distinctly American principles found in the Declaration, (1) belief in a Creator God, expressed as Creator, Divine Providence, nature’s God, etc; (2) Equality of all citizens under the law (All men are created equal); (3) Unalienable natural rights, endowed by our Creator, the right to life from conception to natural death, liberty to manage our own affairs and property in a manner that we believe to be in our own best-interest, the right to acquire, use and protect private property — the fruits of our labor. (4) The sole legitimate purpose of government is to secure these rights. We Believe that the Constitution is the “Supreme Law of the Land”. It is the final authority for the administration of our government. Any ambiguity in the text of the Constitution is clarified and emphasized by the first Ten Amendments, The Bill of Rights. The leaders of Colonial America as well as the framers of The Declaration of Independence and the Constitution believed that America came into existence by the providence of God. Subsequent American history has strengthened this belief in the minds of many modern Patriots. For those Patriots, our Founding Documents contain the “Plan of God” for the governing of America. We Believe that the American Economy is based on market capitalism, the oldest and most successful economic system yet devised. Its leading competitor, socialism, has been tried numerous times and in many different nations and cultures. There has never been a national economy based on socialism that can be held up as a successful economic model. Wherever it has been tried it has failed miserably, including our own past and ongoing experiments with socialism in America. 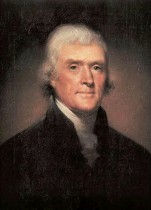 The purpose of Illinois Conservative Beacon and its sister sites is to provide educational materials, information and assistance to patriotic Americans attempting to bring about reforms in our political, cultural and economic systems more in keeping with our Founding Principles and in conformity with our Founding Documents. To this end we maintain a website at illinoisconservative.com containing our Founding Documents and various writings of the Founding Fathers such as Washington’s Farewell Address, Madison’s notes on the Constitutional Convention, Complete text of the Federalist Papers, Selected writings of Thomas Jefferson, an On-line Constitution Tutorial and much more. Our blogs contain essays on current events, politics, government, culture, and history. Please feel free to browse our sites and come back often.